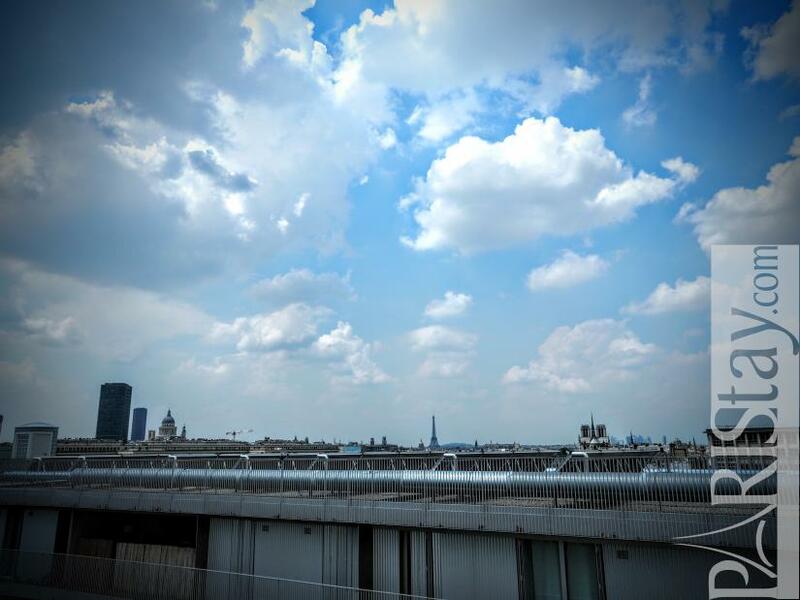 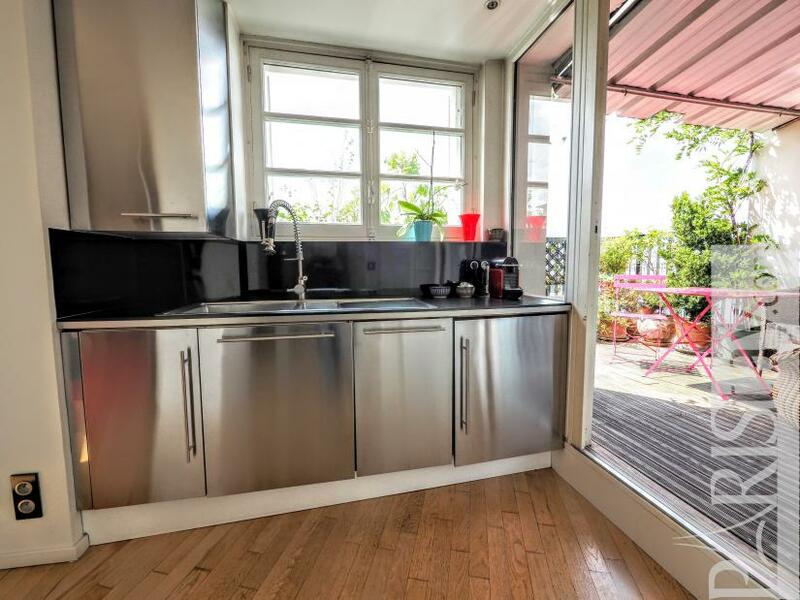 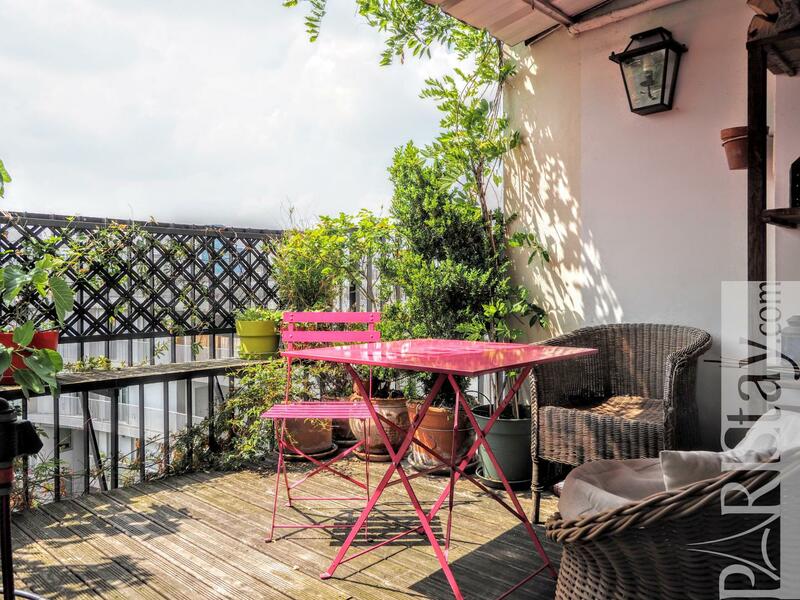 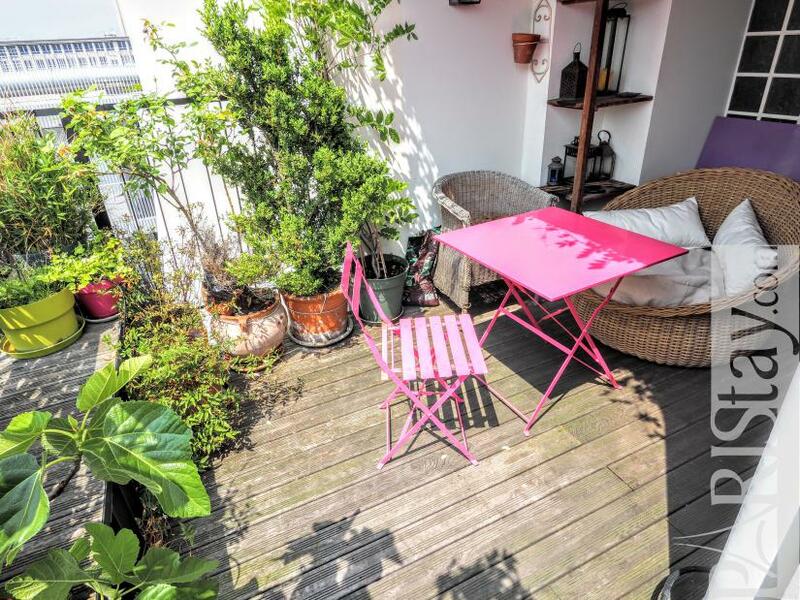 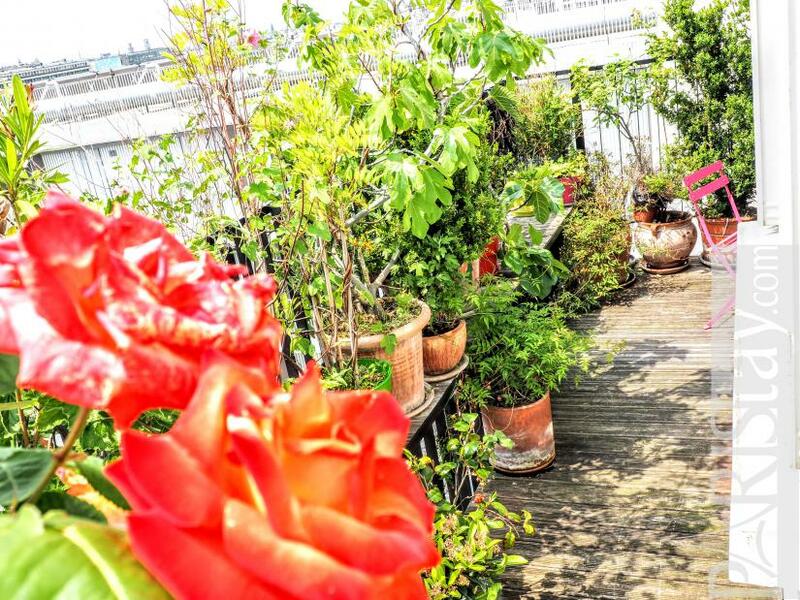 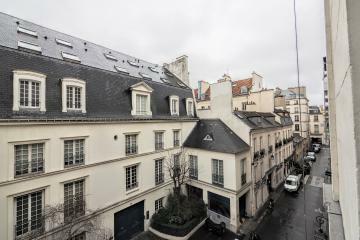 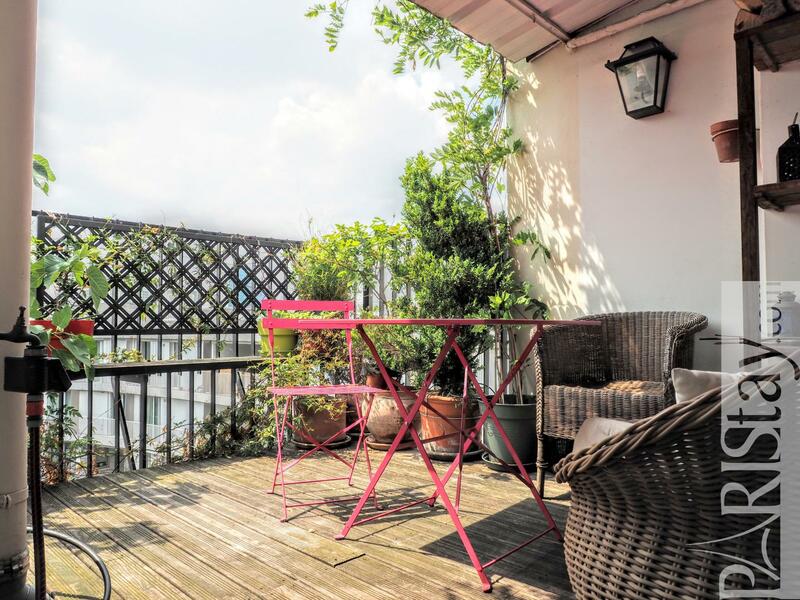 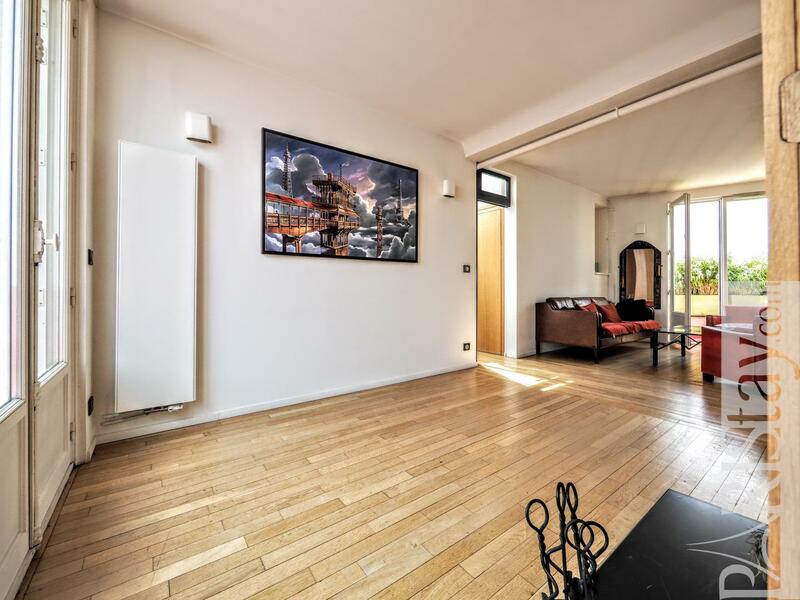 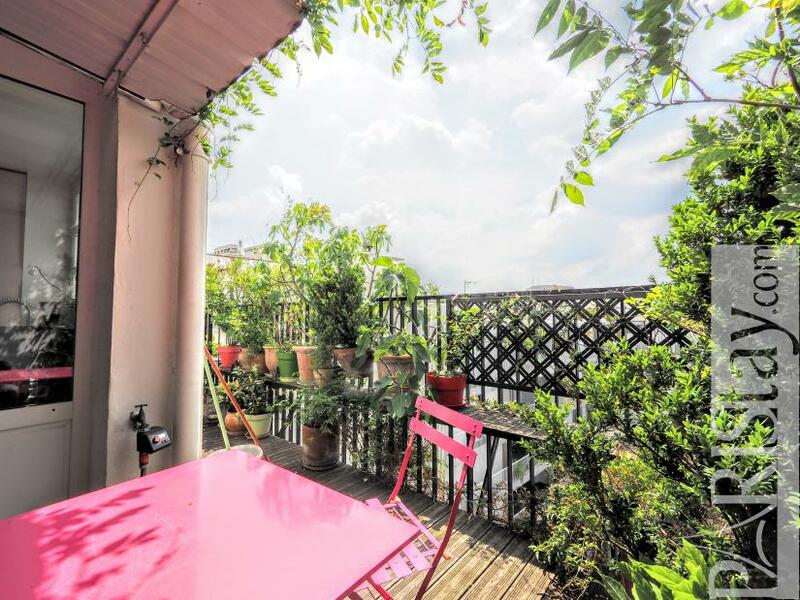 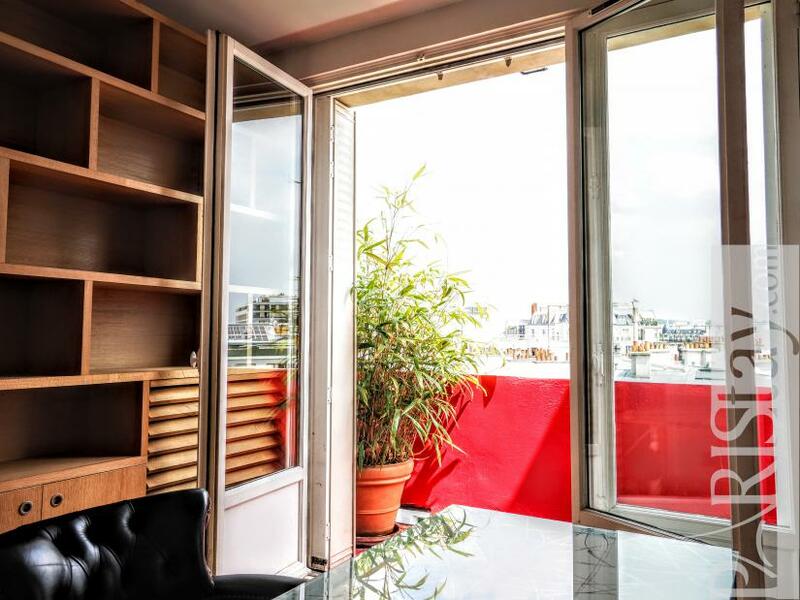 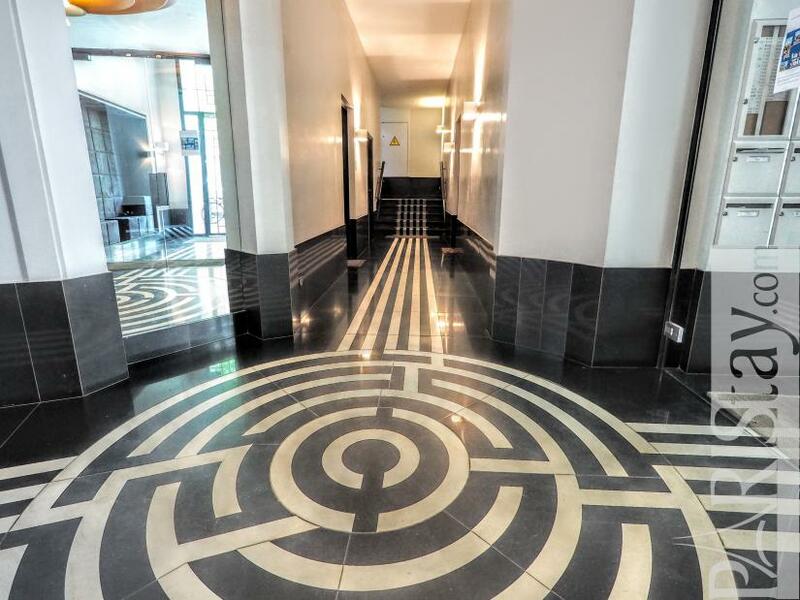 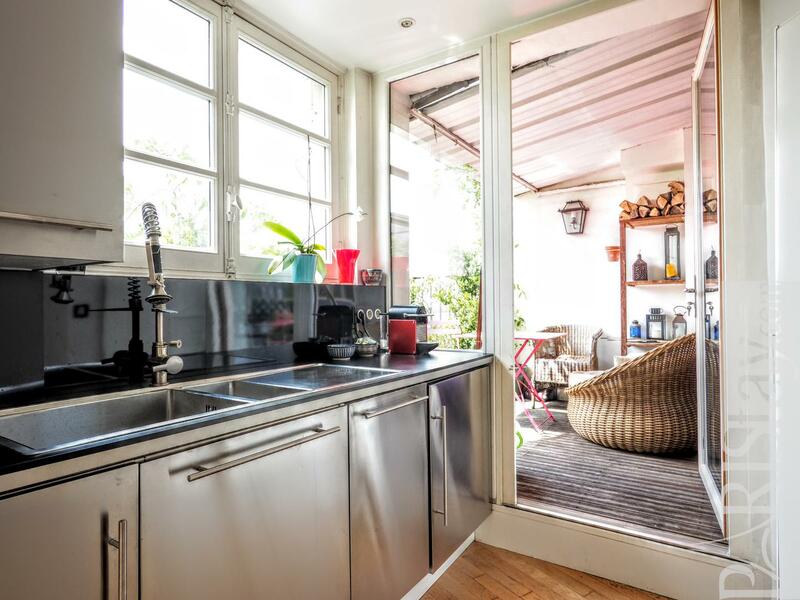 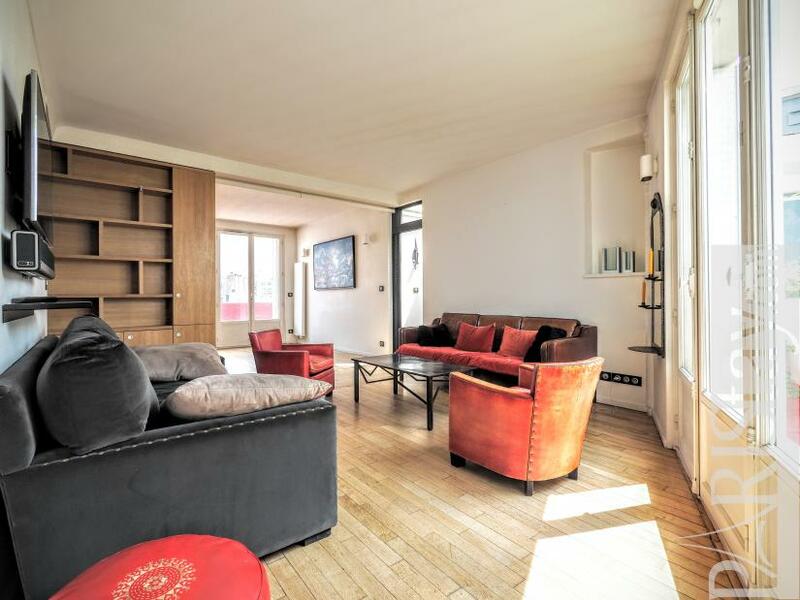 Enjoy the Paris skyline from the terrace and balcony of this astonishing 2 bedroom apartment for rent in the heart of Paris. 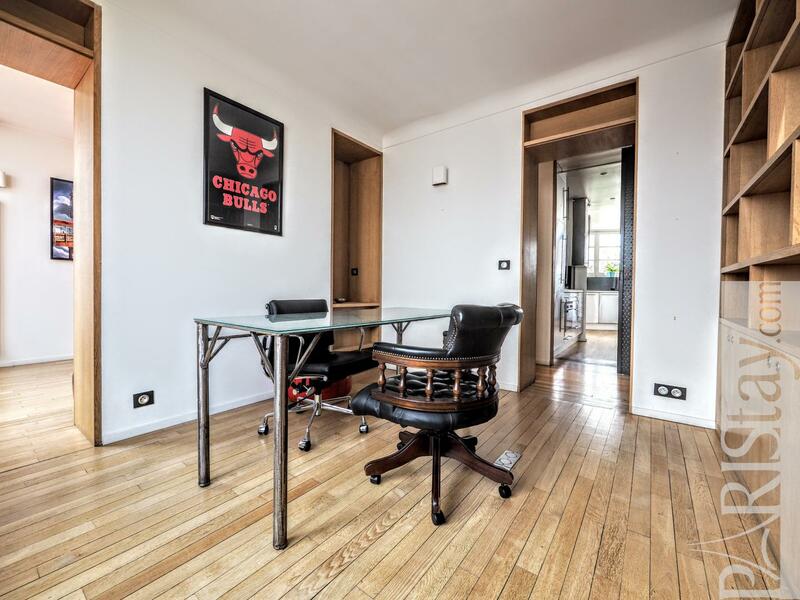 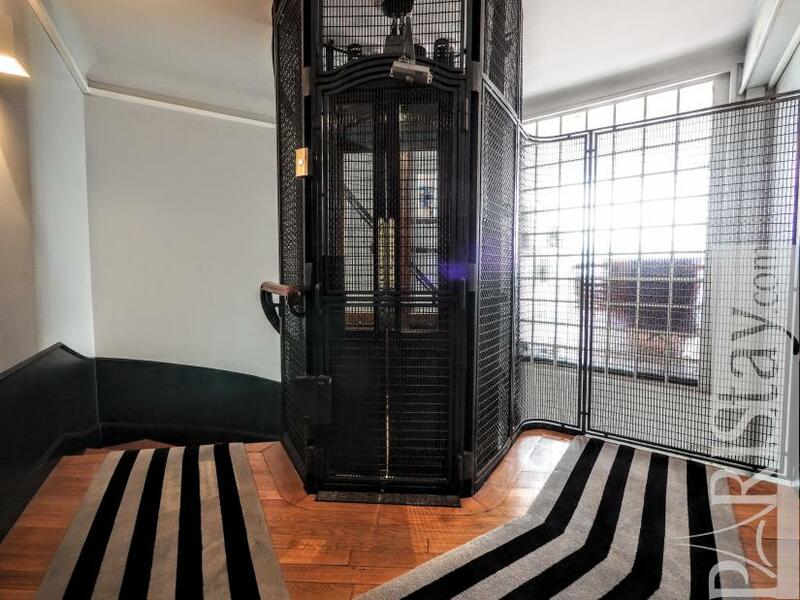 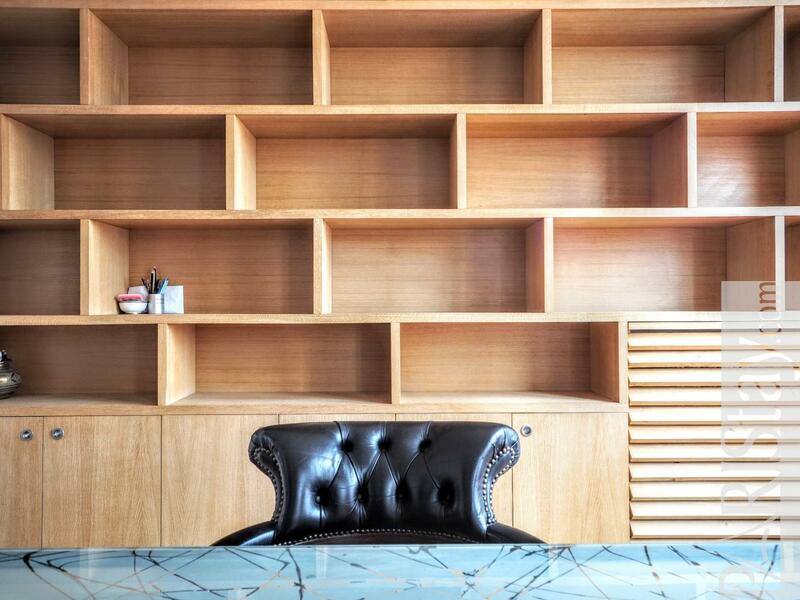 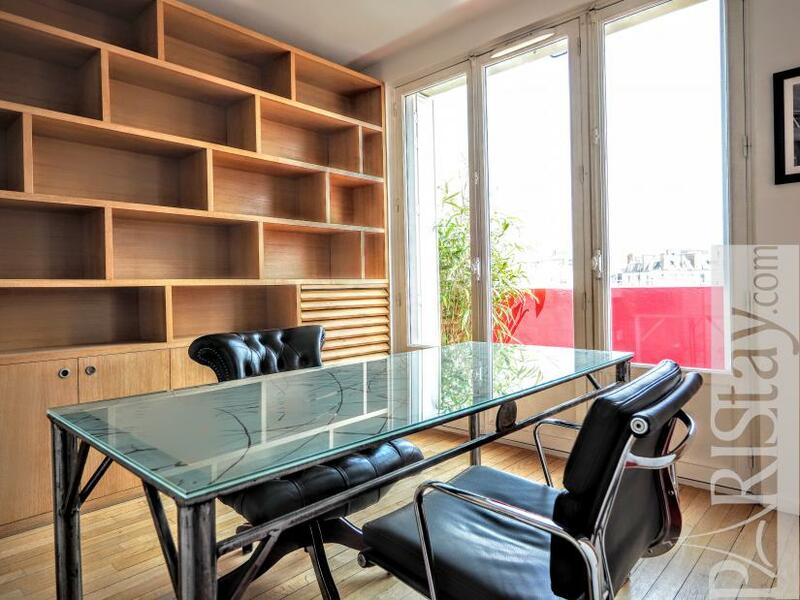 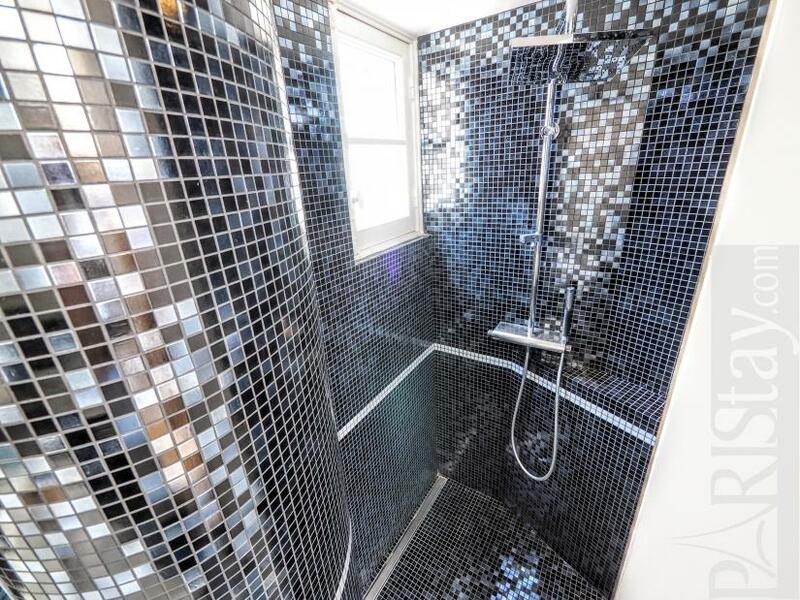 It is located next to the Port of Paris, Bastille and the River Seine, on the 9th floor with lift of a renovated 30's building. 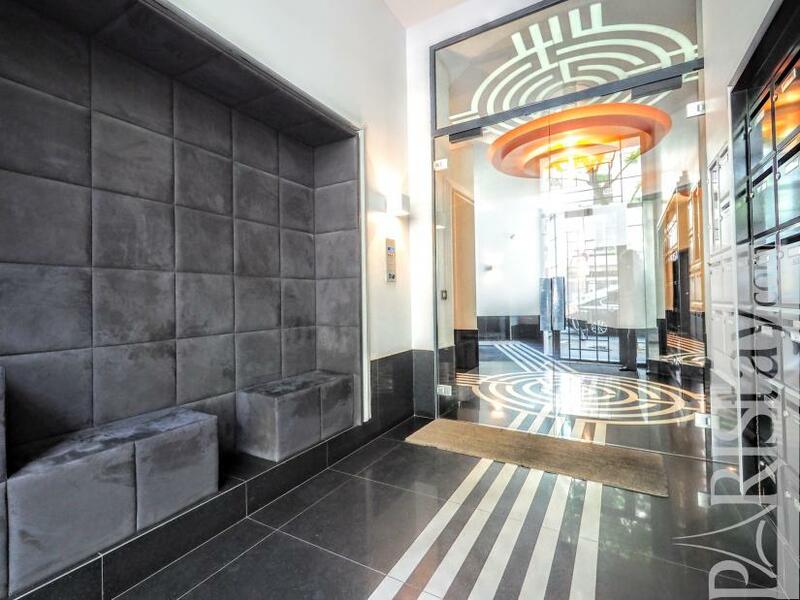 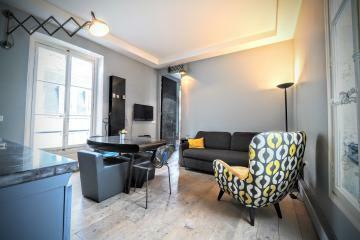 This luxury, quiet and bright apartment has a a very convenient plan. 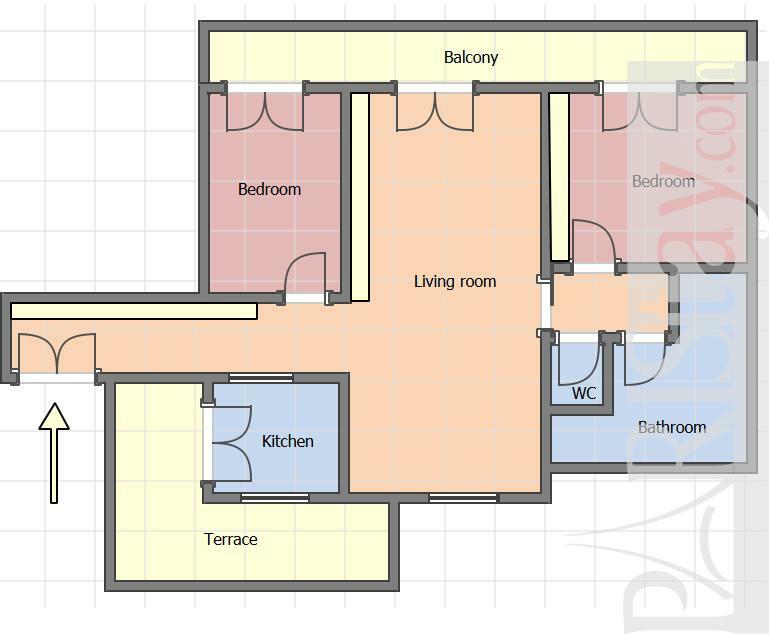 Large living room with open kitchen on the terrace and a dining area open on the balcony. 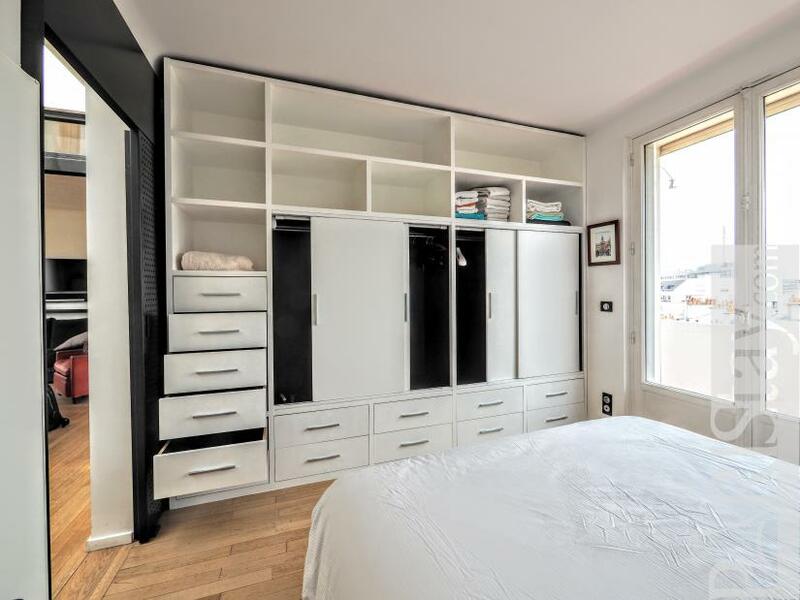 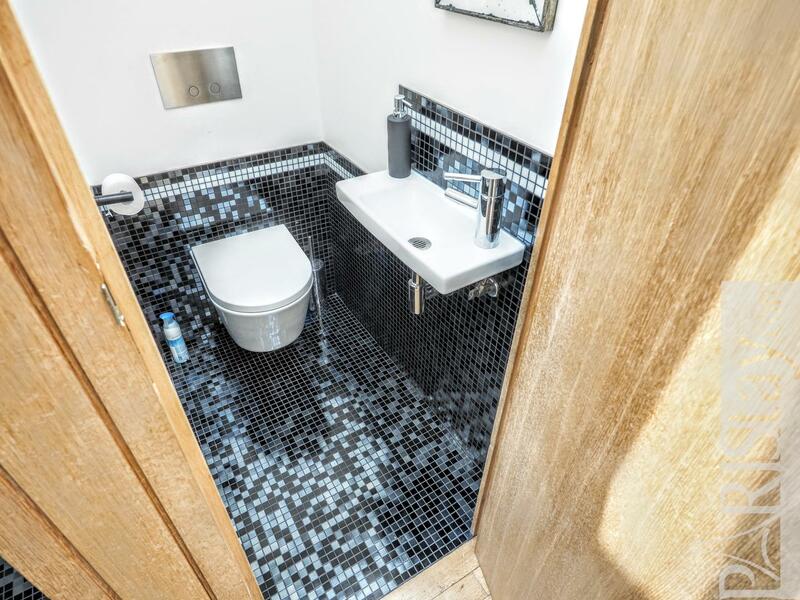 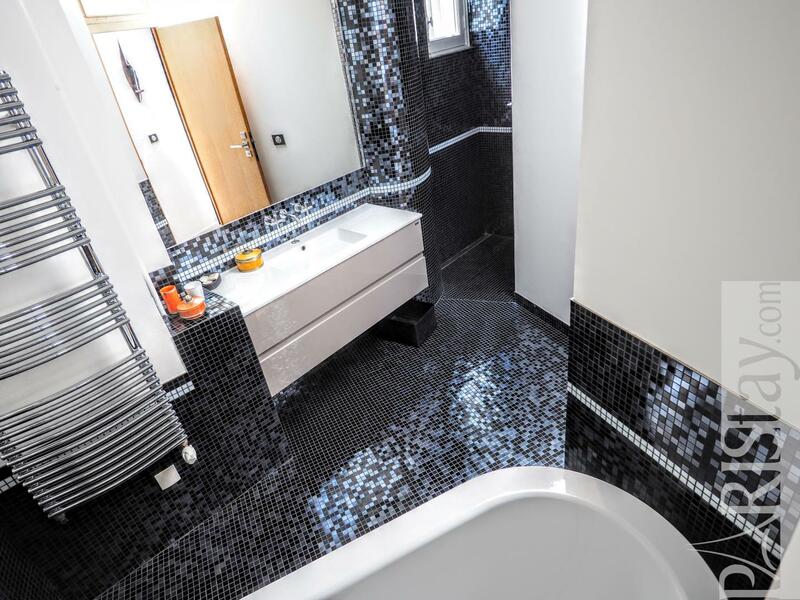 A door leads to the parental suite offering a large room with a double bed and plenty of storage space, a large bathroom with bath tub and italian shower, separate toilet. 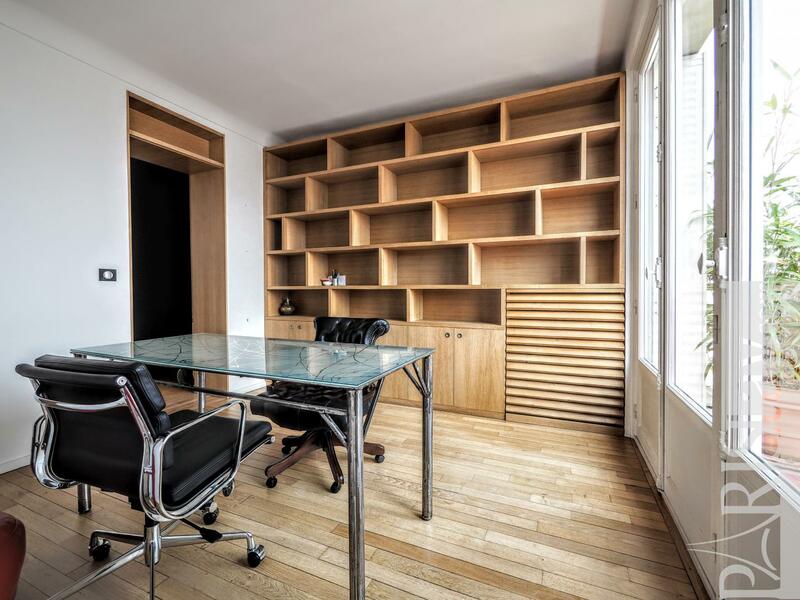 Another door leads to the second bedroom that can be converted into an office. 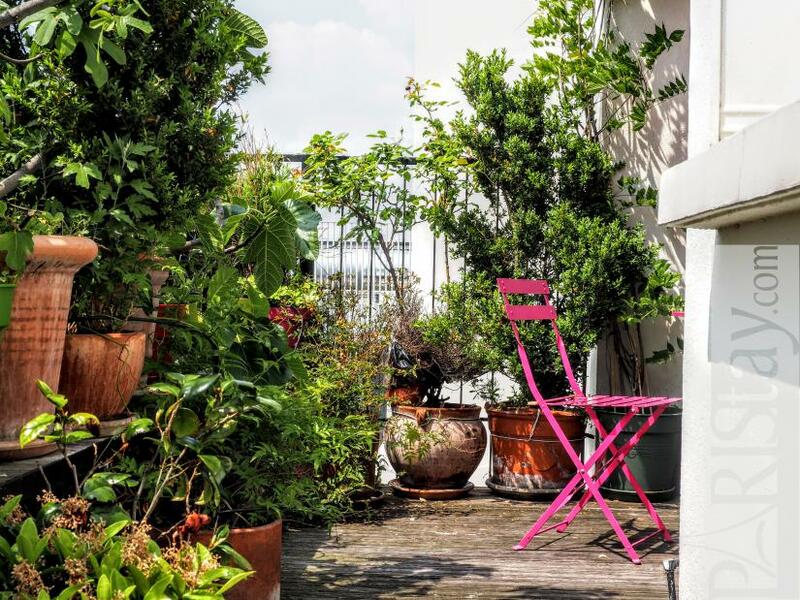 A charming south oriented terrace offers plants, a table and chairs. 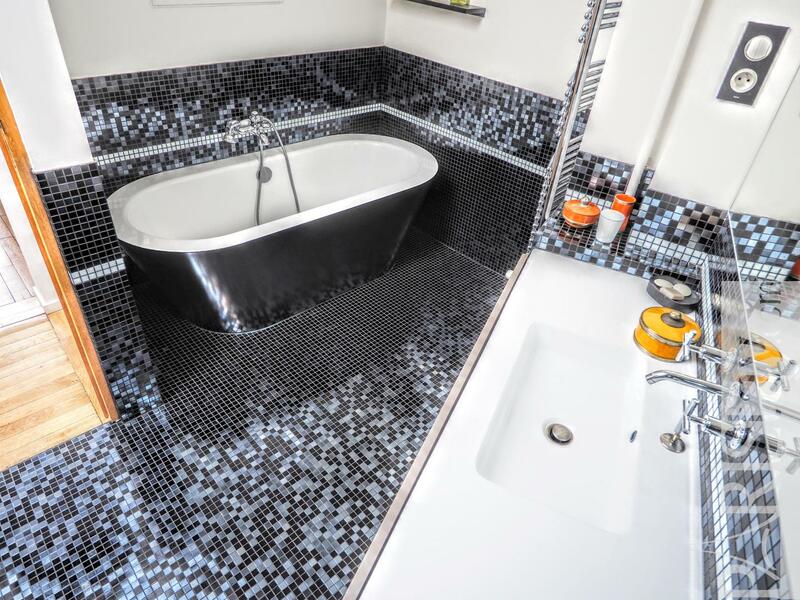 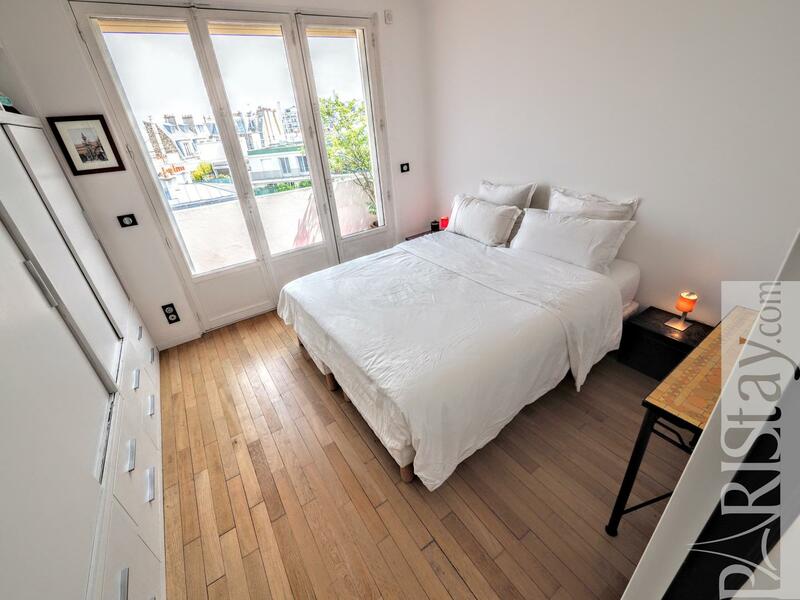 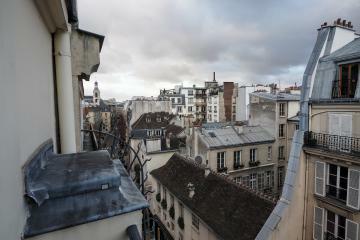 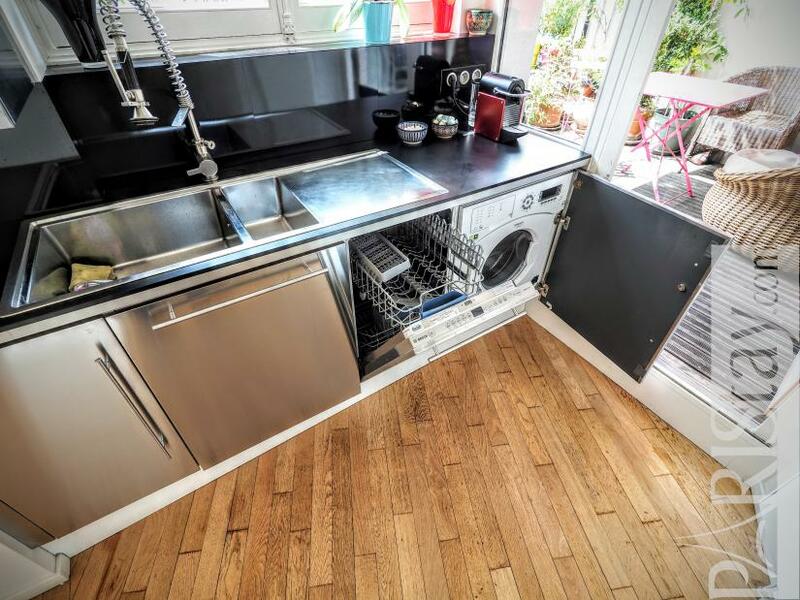 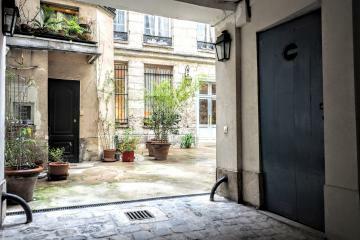 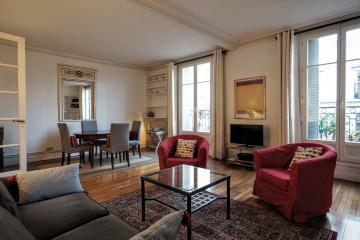 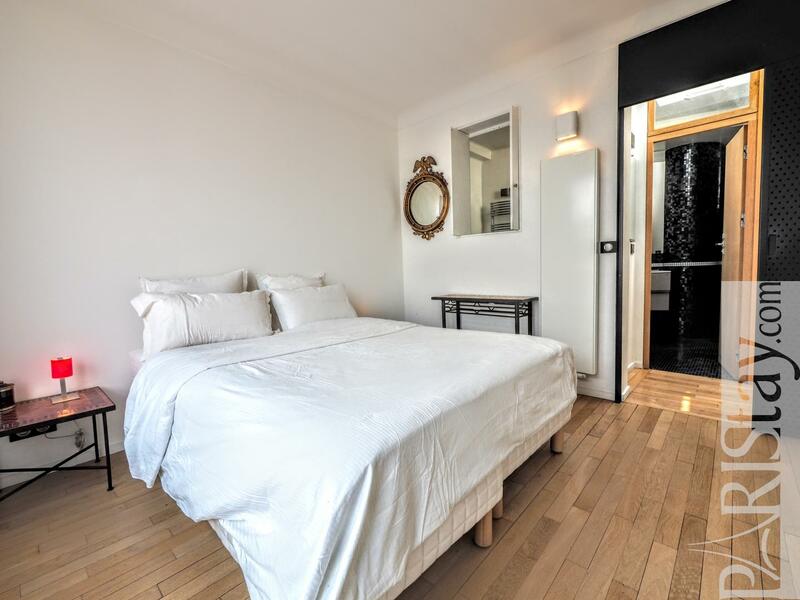 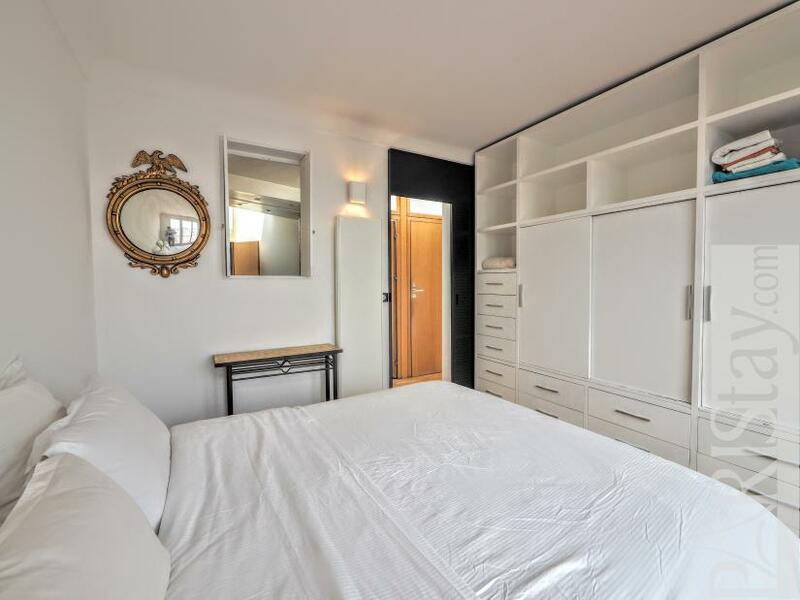 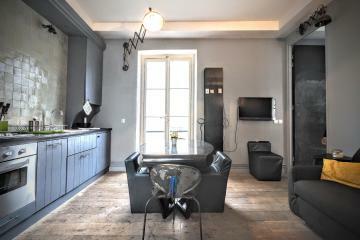 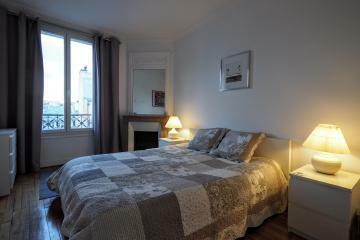 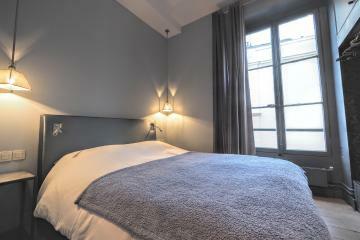 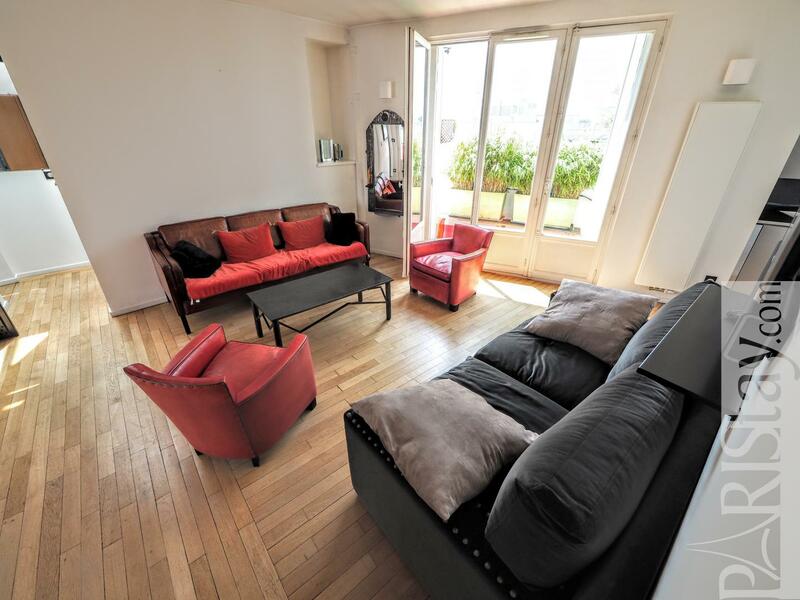 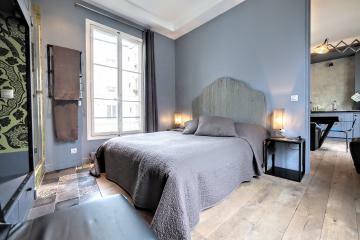 A perfect place to be for your next long stay rentals in Paris! 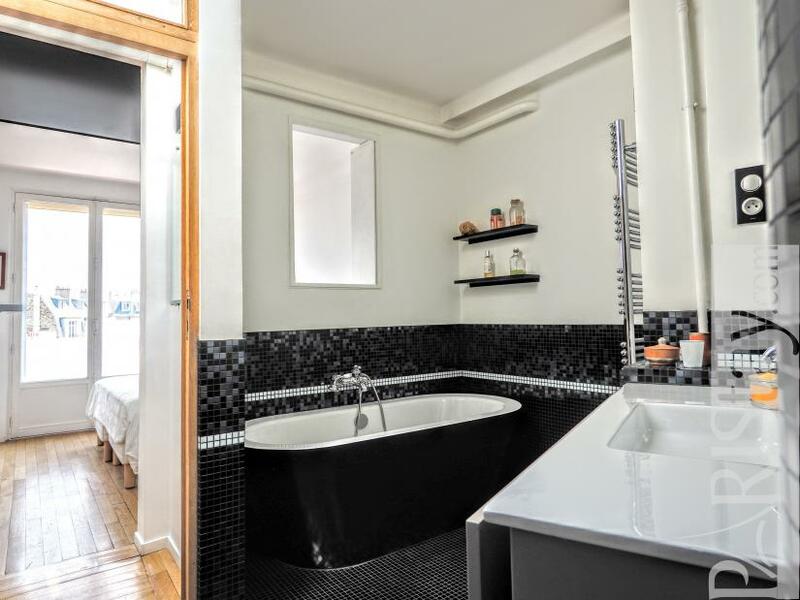 Please note: heating, hot water, internet are included. 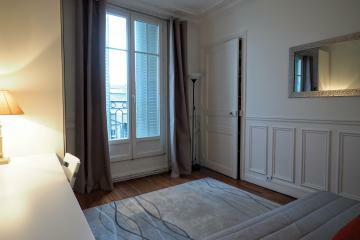 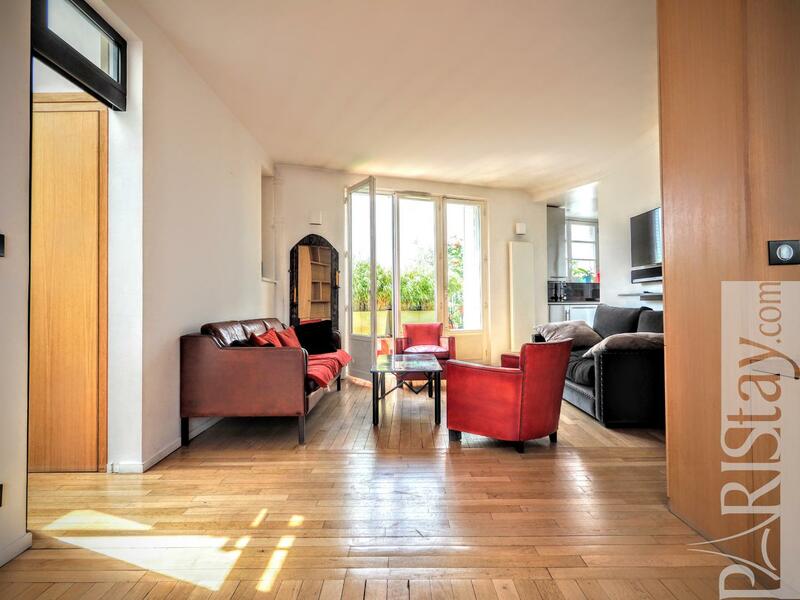 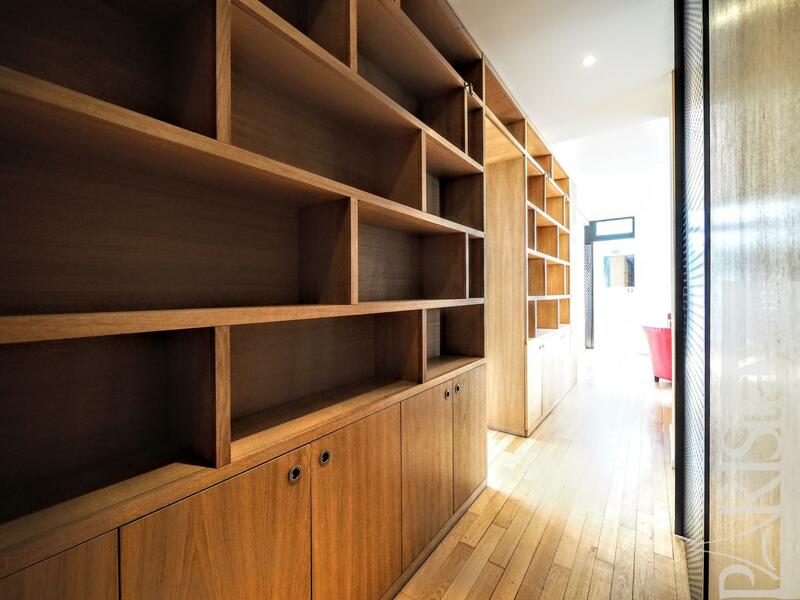 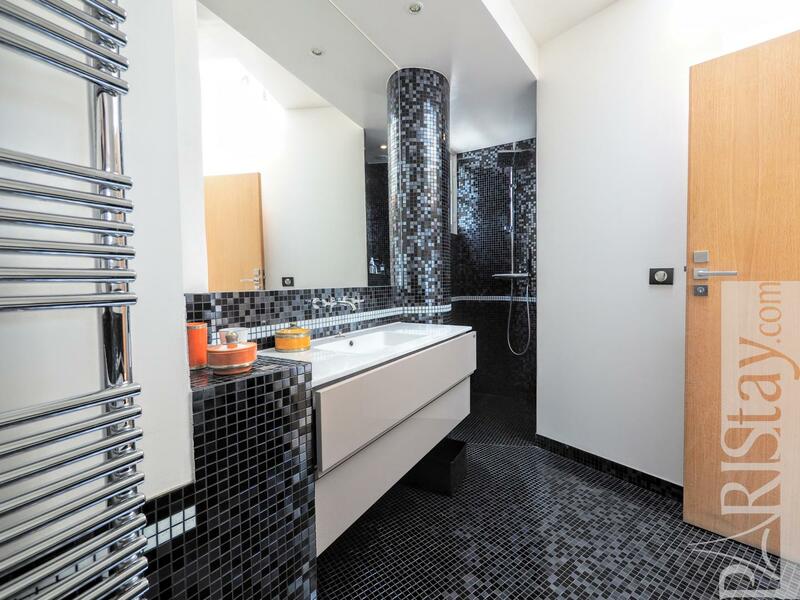 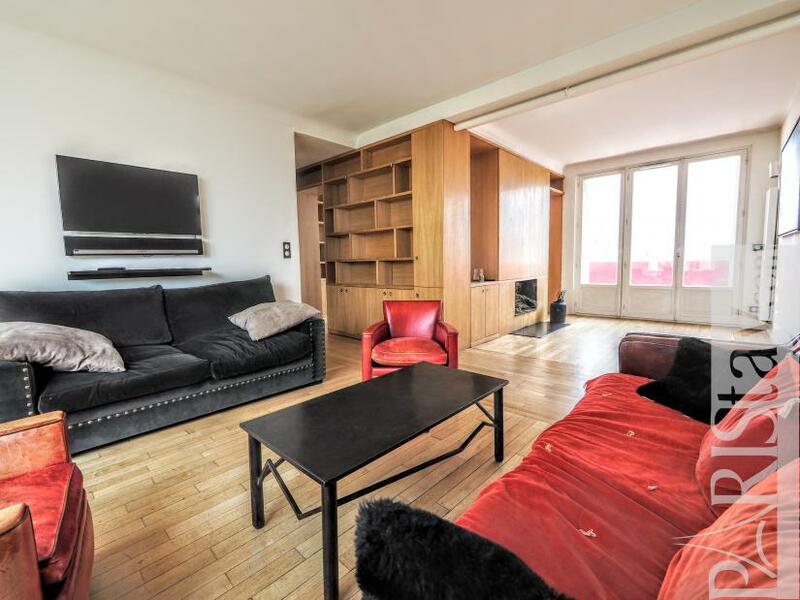 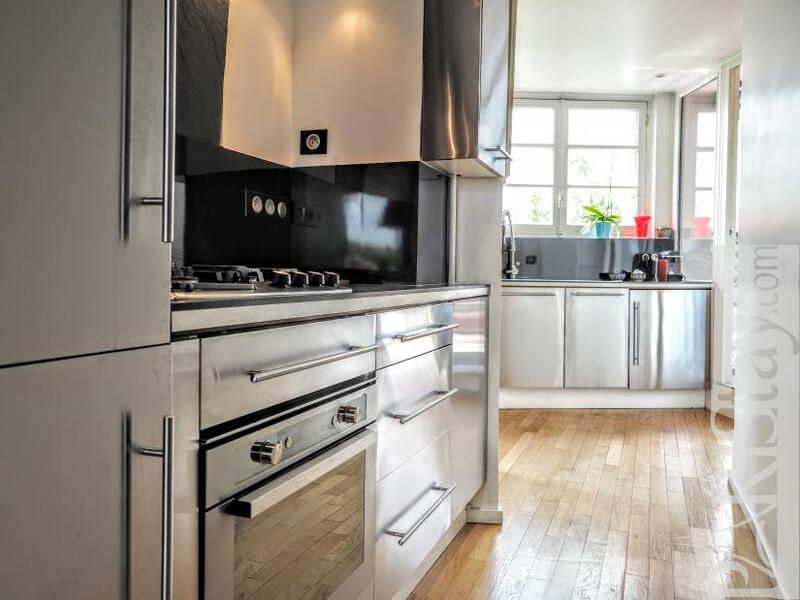 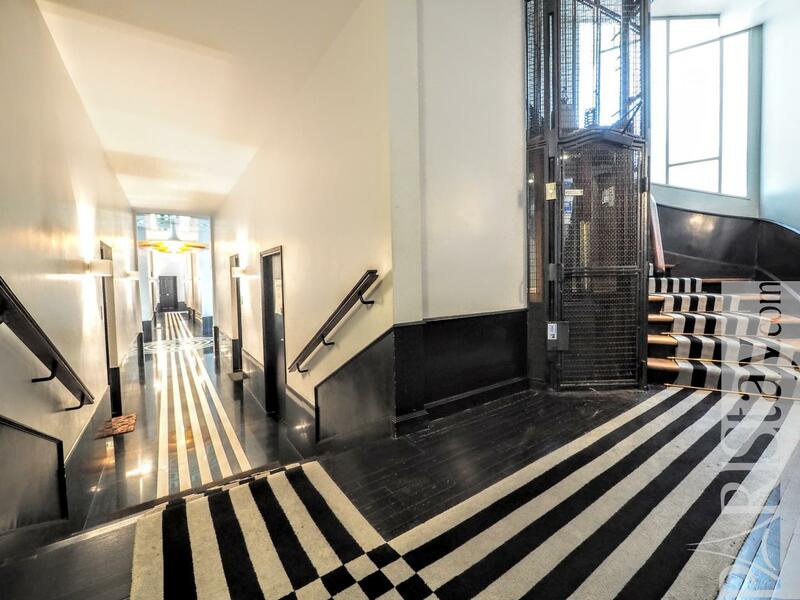 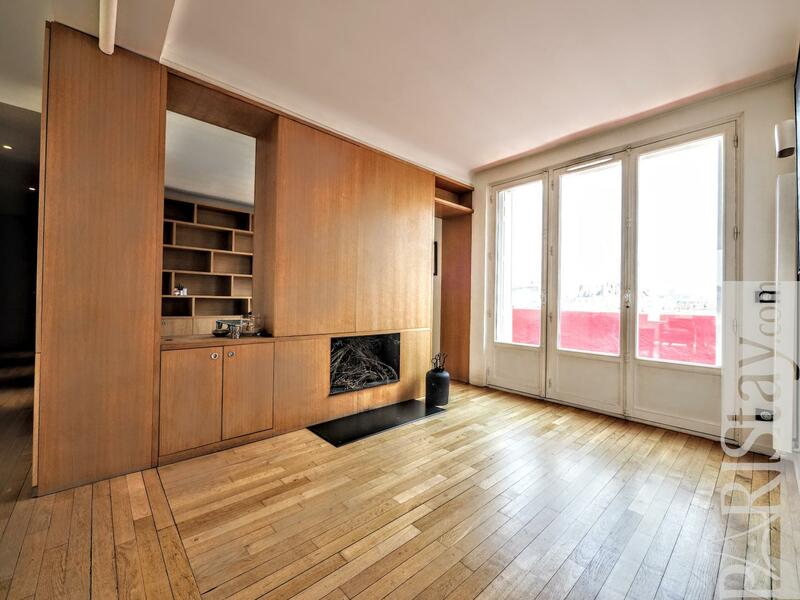 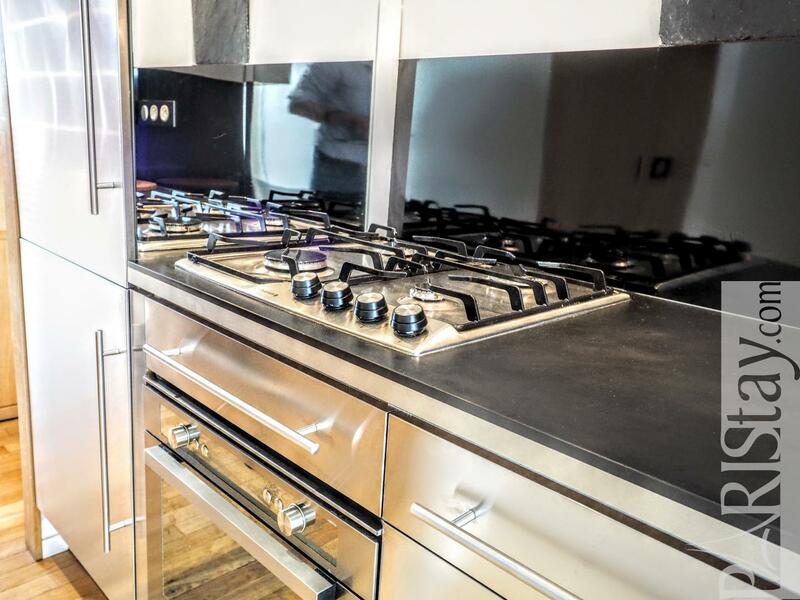 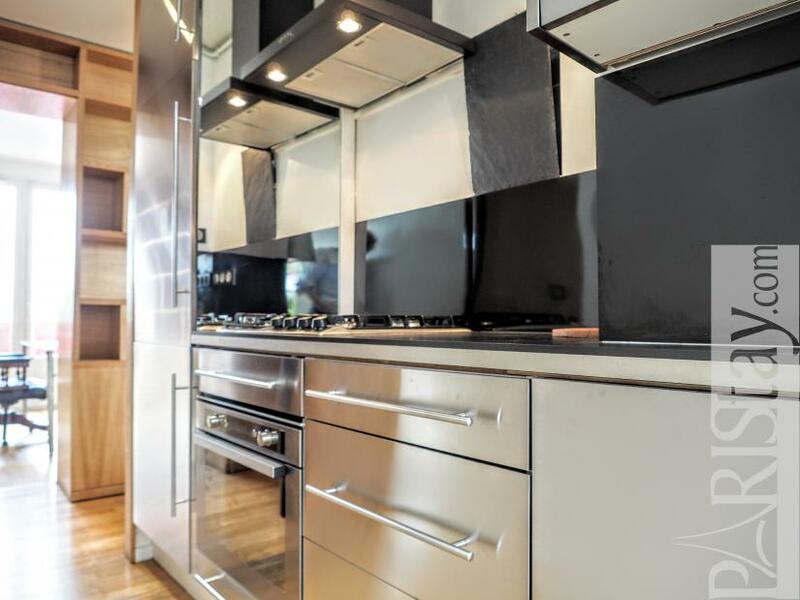 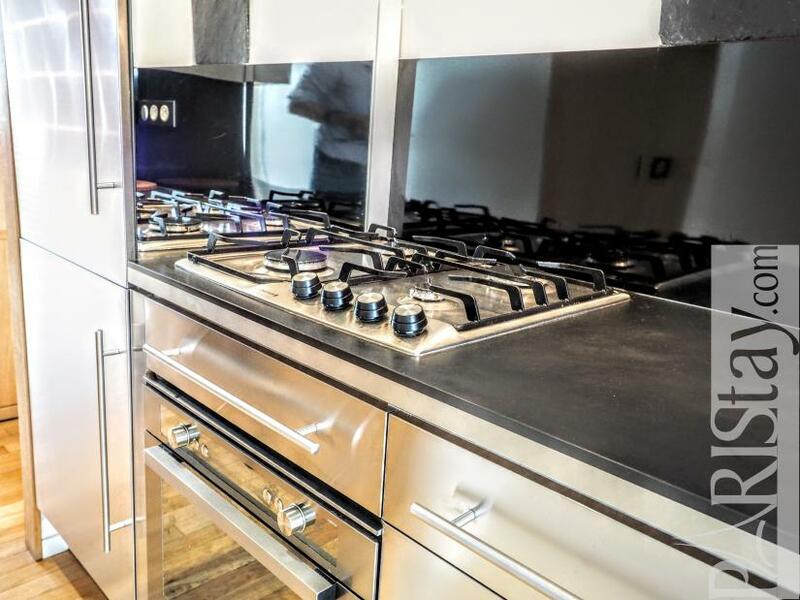 9 rd floor, with Lift, 2 bedrooms Appartement, furnished, Approx: 76m² / 817 Sq.Ft. Terrace,High security lock on front door.